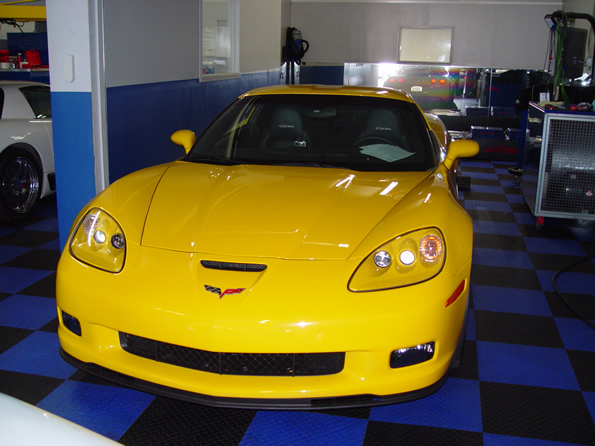 Derryl's Stage 1 Corvette Z06 Dyno Tuning. Derryl found us through the Corvette Forum. His interest was to get some more power without any major modifications. He heard about our Efi Live Tuning Software and the success we have had with it. As you know, the new E38 computer in these new C6 Corvettes are much more complicated but far more advanced than previous models. Efi Live has taken much longer to develop this unique software but it's far more advanced than other products on the market. As an an exclusive Efi Live tuning facility, we want to give our customers the best they can get for the expensive cars they have purchased. We believe that there is no software that can meet this challenge like the Efi Live tuning Software. Derryl took advantage of our stage 1 performance package which includes a K&N Cold Air System/180 deg thermostat and dyno tuning.